It is has been an active day for some coaching news in the state and with that, we bring you some quick notes on a few changes that have taken place this week. Nease has found their next head coach in Collin Drafts, the school announced on Twitter Friday afternoon. Drafts is no stranger to the Sunshine State having first come to the state to play for the Orlando Predators arena football team and spent five years as an assistant coach at West Orange in Winter Garden under Bob Head. In 2016 Drafts finally caught his first head coaching break turning East River in Orlando around from 1-9 in 2015 to a 6-5 program that reached the regional quarterfinal playoffs that season. However, he resigned after one season to take the position at A.C. Flora in South Carolina where he went 9-3 this past season reaching the Class AAAA playoffs there, according to Will Brown at The St. Augustine Record. Nease has its football coach. Drafts posted this statement on his Twitter account just prior to the announcement by Nease thanking A.C. Flora for the two seasons he had with the program. 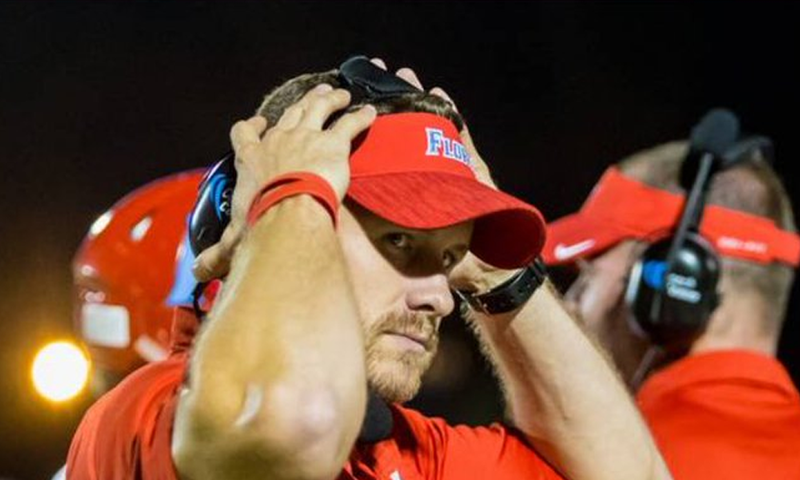 Tony Yeomans has told FloridaHSFootball.com that he is stepping down at Franklin County after two seasons as the head coach, but further details as to why are not known at this time. Yeomans leaves Franklin County with a 10-10 record over two seasons including a 6-4 record in 2017 which marked the first winning season in school history, just missing the playoffs under the new playoff points system. However, this past season despite the struggles due to the impacts of Hurricane Michael with the expansion of the Region 1 and Region 2 playoff brackets by the FHSAA, Yeomans led the Seahawks to their first playoff berth in school history. There have been 92 coaching changes so far this off-season and we have the full list on our 2019 Coaches Moving Van broken down for you by classification along with a full-interactive map. You can view all the coaching changes including those at Dwyer and Palm Beach Gardens 2019 Coaches Moving Van, by clicking here.